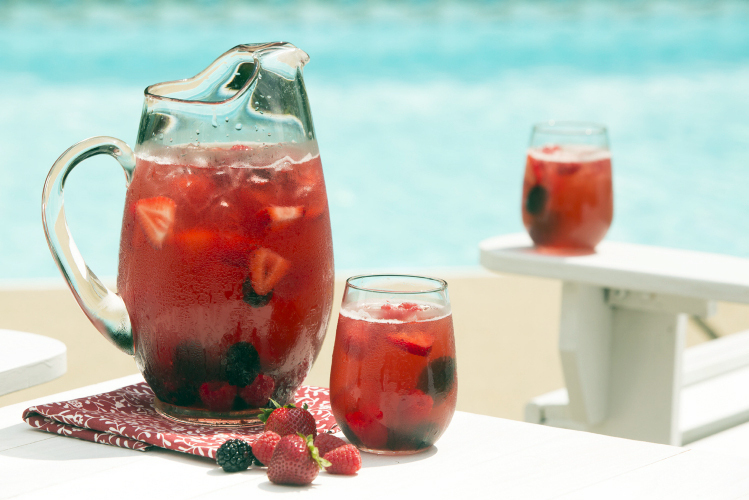 Sangria suits everyone. That’s because Sangria can be made with any wine – red, white or rose. Any fruit – berries, melon, peaches, nectarines. Even vegetables like cucumbers. Herbs like basil and mint. Sangria is your outlet for beverage creativity! Sangria is a chance to try local wines. Indiana has over 80 wineries, so I’ll be making lots of sangria, all summer long! What about your state? Sangria is brimming with nutrient benefits. Yep, not only does that wine have health-boosting properties, but any fruits, vegetables and herbs you include have vitamins, minerals and natural phytonutrients for optimal health. Three cheers to enjoying libations with benefits! 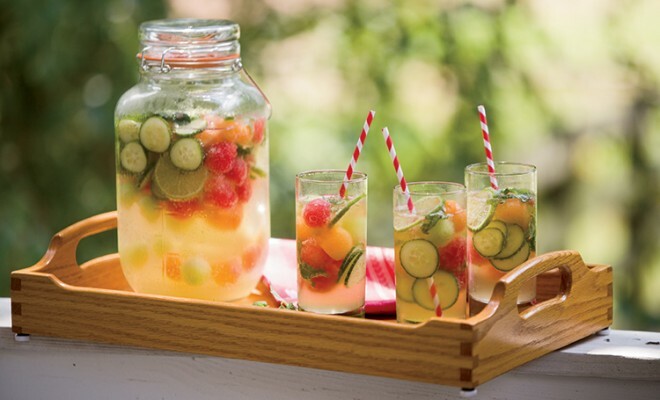 Enjoy my Cucumber Melon and Mint Sangria – it’s one of three I created for my client, the My Indiana Home Magazine. You’ll find the other two recipes – Mixed Berry Sangria and Stone Fruit Sangria – at www.my-indiana-home.com Thanks to farmflavor.com for online recipes and photos. In a large pitcher, bowl or container, stir lime juice and sugar until sugar is thoroughly dissolved. Add all melon balls, lime and cucumber slices, mint and basil, and lightly stir. Add wine and club soda and lightly stir. Cover tightly, and refrigerate for at least 3 hours and up to 24 hours to blend flavors. Garnish individual glasses of sangria when serving. 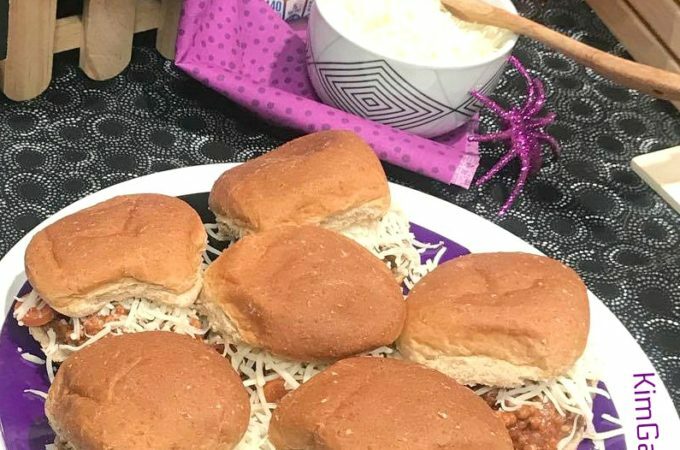 Makes about 8 servings. 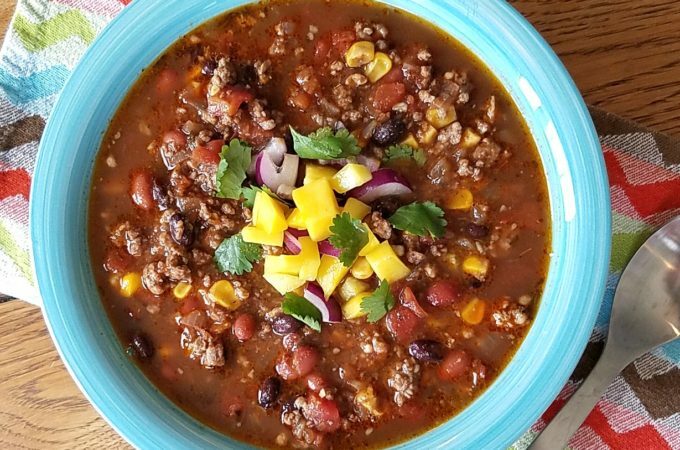 Recipe created by culinary nutritionist dietitian Kim Galeaz RDN CD for My Indiana Home.